Womens rights in Nepal are being affected by traditions. 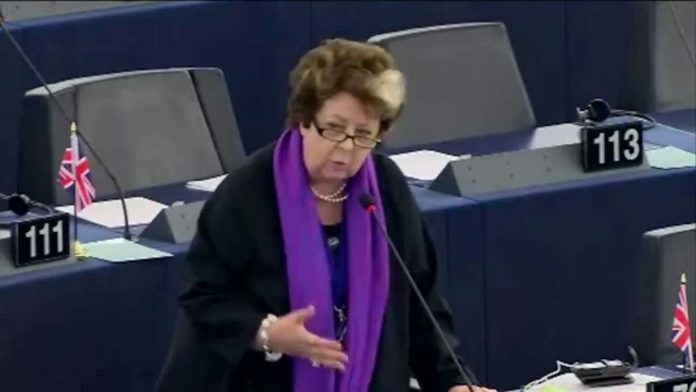 Margot Parker MEP - Courtesy European Parliament. UKIP’S former deputy leader Margot Parker MEP has raised concerns over how menstrual stigma is costing lives in Nepal. She was reacting to reports on how aid workers are fighting against ‘chauupadi’, an ancient Hindu ritual where women are banished from their homes during menstruation. In the Achham district alone, it is reported at least 12 women have died while following chauupadi in the last ten years, with the latest death just last week. Mrs Parker, the party’s spokesperson on aid and international development, has fought for equality in all cultures and religions. She said: “This is an abhorrent practice and truly shocking it still exists in the 21st century. “We see how often international aid is squandered on pointless projects, often on schemes where certain Governments are not helping their own people, yet tax payers in the UK foot the bill. “The work in Nepal to help stop this practice, through education, is the type of project which is important and where money could be spent. She added that beliefs must be changed and in no culture is this type of persecution acceptable.